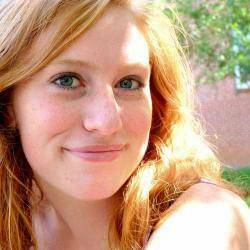 A flower crown simply makes the person wearing it beautiful and captivating. The great thing about creating flower crown is you can use any flower you like. 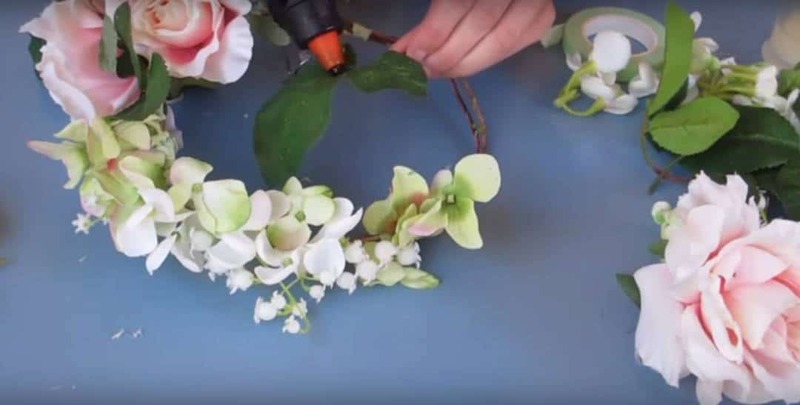 It may look daunting but shaping your flower crown is as easy as 1-2-3. To measure the wire, wrap it around your head twice and allow about 2 inches of allowance and cut it. Then, twist them together. 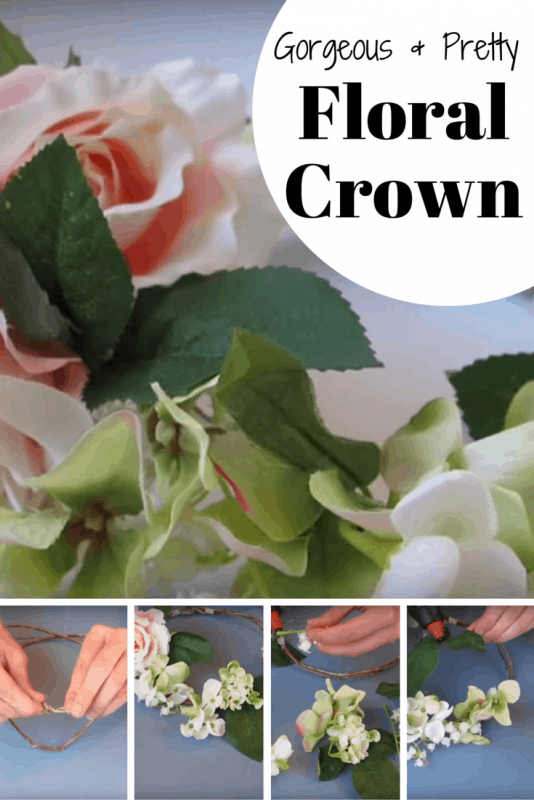 You may use florist tape to secure the crown together. 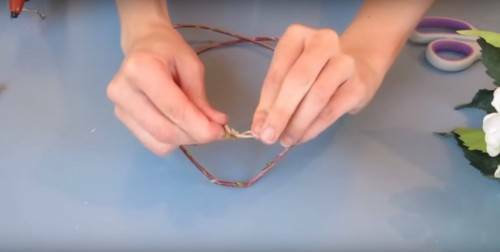 Step 1:Measure the wire around your head twice and twist it together to make the crown. Remove the flowers from their stems. Position them around the crown creating a pattern so it would be easy for you to glue them on the wire. Step 2:Arrange the flowers on the wire for easy placement later. Put hot glue on the flower and stick it on the wire making sure it is facing front. Repeat the step on other flowers until the entire wire is covered. Remember to follow the pattern you created. Step 3:Using hot glue, stick the flowers on the wire. You may also add leaves for the finishing touch. Step 4:Add leaves for the finishing touch. And you are done! 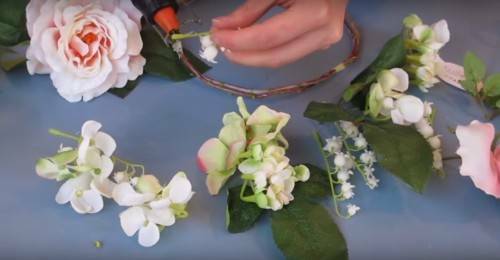 A lovely flower crown for you and your bridesmaids. Step 5:You may use floral tape to secure the flowers and wire.